While in San Diego in the Little Italy section of town, it began pouring rain. The locals covered their heads and ran for it. 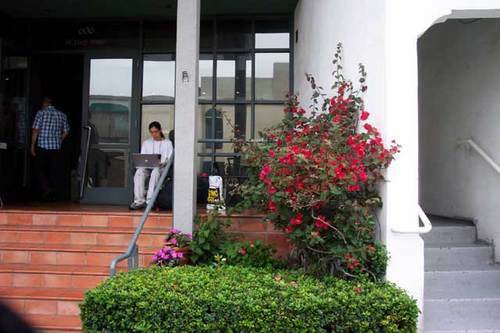 Justin took refuge on a hotel porch with free internet access. Please Note: This picute was taken DURING THE DOWNPOUR.